Your mental health can reap the benefits of exercise by putting your physical activities amongst your top priorities. In fact, immediate and long-term health benefits are guaranteed if we stay physically active. A fitness expert from Vivotion explained that as we age our body starts to demand a high level of strength, power or speed and an increase not only in our social well-being but also in our mental health. As claimed by Vivotion, staying fit does not necessarily mean an individual should perform physical fitness alone. Staying fit is not just about being physically fit, but it also includes emotional, spiritual, social and intellectual, creative and financial well-being. If one were to continue to have an inactive lifestyle, this habit would contribute to chronic miseries such as heart disease, cancer, diabetes, osteoporosis, obesity and more. Better blood supply which improves your Neuronal health—improving the delivery of nutrients and oxygen. Increase in neurotrophic factors and neuro hormones that support neuron growth, connections and signalling. Exercise has many physical health and mental health benefits. Regular exercise can stimulate chemicals that improve your over-all mood including the responsible parts of your brain for memory and learning. 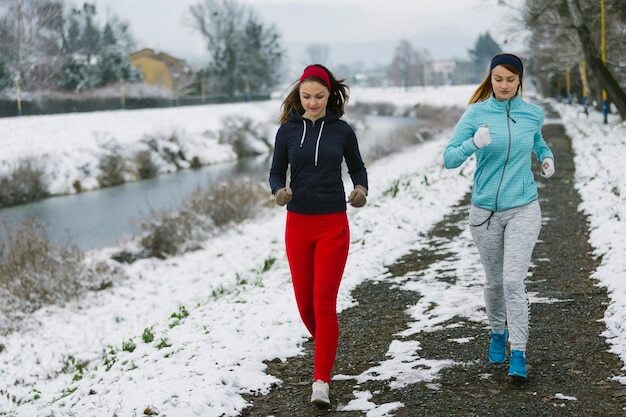 Regular exercise reduces the risk of illnesses such as heart disease, cancer, diabetes, osteoporosis, obesity, high blood pressure, Alzheimer's and Parkinson's disease. It can also help an individual to recover from stroke and other illnesses and conditions. The number one reason as to why many of us exercise is to lose weight and tone our bodies—which is good for self-esteem and overall health. However, regular physical activity can be an investment not only in your body, but it's also a good investment for your mind and soul. One of the most common mental benefits of exercise is stress relief. Did you know that regular exercise can reduce your stress and the symptoms of psychological conditions such as anxiety and depression? The chemicals that are being released during and after a workout can help an individual with anxiety disorders to calm down. If you exercise regularly, it can also help you recover from mental health issues by improving the ability of your body to deal with existing mental tension. Exercising is also good for the mind. As you do your routine, it pumps the blood to your brain which helps you to think more clearly. It also increases the size of the hippocampus, the part of the brain responsible for memory. It also improves your memory and protects your brain against disease and injury. According to studies, exercise can diminish the symptoms among the clinically depressed. That is why the doctors tend to recommend an individual who suffers from anxiety or depression to have more gym time as exercise releases endorphins. Physical activity brings not only a sense of purpose and value but also a better quality of life, reduced stress and improved sleep. As well as social connectedness and stronger relationships, according to Lancet's studies. Exercising can help you live longer up to five years, as stated by the American Journal of Preventative Medicine. Working out between the age of 25 and 40 will help boost the chemical in your brain that supports and prevent the degeneration of the hippocampus. Exercising regularly, especially between those mentioned ages, will also help boosts memory and ability to learn new things. Expect to have more energy if you let your heart rate increase several times a week. Did you know that even a short time of exercise in the morning or afternoon regulates your sleep patterns? With that, you will have a better sleep! Yoga which known as one of the relaxing exercises can help you promote sleep as well if you prefer to workout during the night. So, how much exercise do you need, though? The Australian Government Department of Health recommends the adults to perform at least a 30-minute of moderate to intensive physical activities on most of the days of the week. Additional to the mental health benefits of exercise, practicing mindfulness while doing exercise can reduce your stress and improves your mental health. Now you know what to add on your regular workout routine! There will be times when you are struggling to find motivation or even staying motivated to exercise. Our advice is to think about other things that you enjoy and do it apart from your routine. Lastly, to boost your motivation and energy for exercise, combine your regular exercise routine with a healthy diet. A family or a friend's advice can be a great help to keep you on track, and of course, to motivate you. You can effortlessly exercise your biceps at home, without even purchasing expensive equipment or investing in objects that you will find out they are actually useless within days.